You know that first on this list is to select the window treatment that matches your sleeping personality. Most of us need a dark room to blot out distracting street lights or other glaring or annoying distractions. Many room darkening options are available from total blackout to any degrees of light control in between to accommodate your particular needs. 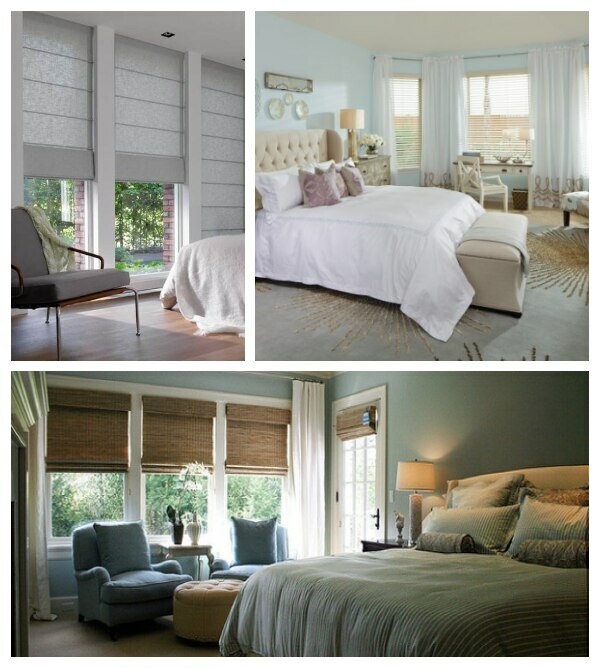 Adding a layer of drapery to any blind or shade creates another barrier to invading light. Shutters close up tightly; cellulars and roman shades can be outfitted with many levels of darkening materials and our ever popular woven wood blinds can likewise be treated to block out light. 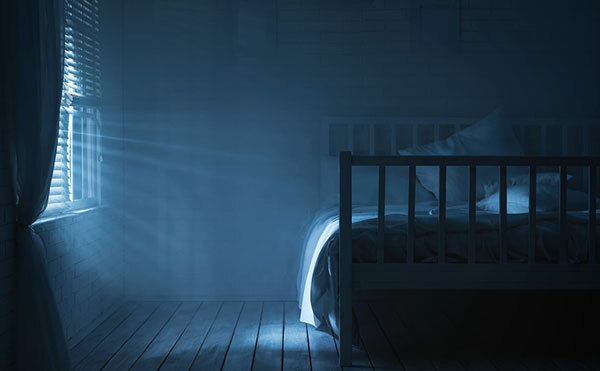 Don’t forget the magic of solar shades to screen out obtrusive glare but allow some light to give some breath to the world outside your bedroom. 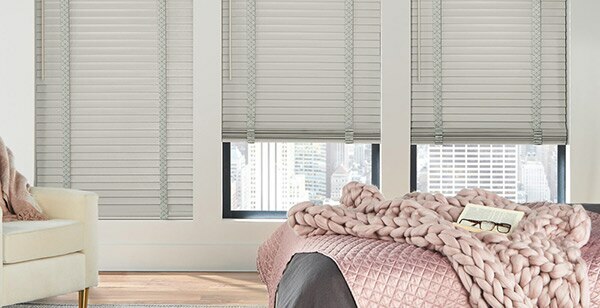 A group poll revealed that 56% of us have no blackout or heavily curtained curtains and 44% do create a dark sleeping room with quality window treatments. With so many choices, your bedroom comfort level can be finely tuned to any time of the day or night. A reminder that the darker a room, the more melatonin, the sleep-inducing hormone, your body produces. By customizing your window coverings, you do not have to silently suffer with faulty or tasteless window coverings. Our bedrooms seem to be the last spot for stacked stuff to accumulate. 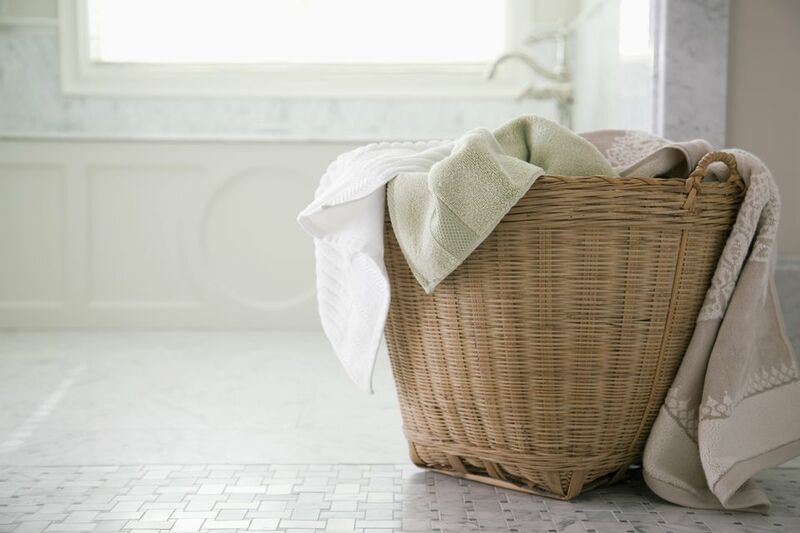 As often as necessary, take the declutter challenge and grab a big laundry basket; set your timer for 20 minutes and grab as much stuff that needs to be sorted, put away or given away. Be on the lookout for clothes that are piled and strewn about; books and magazines and torn articles that need to be sorted; sneakers, booties, purses littering the floor. When time is up, put all the detritus away in its proper place. 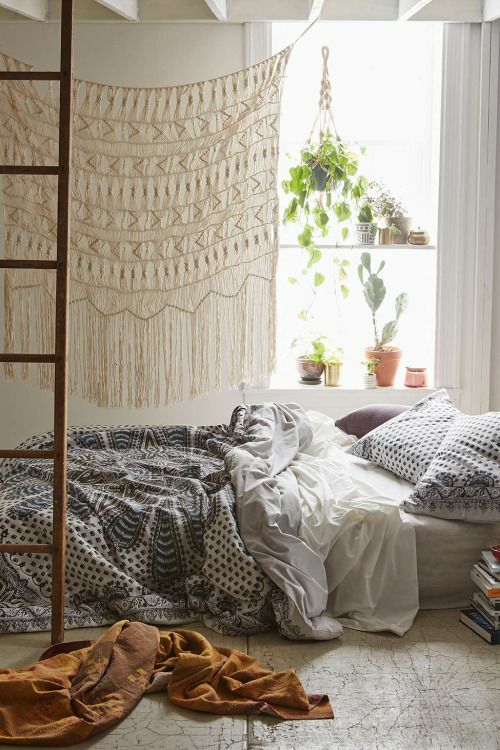 Surely, you can spare 20 minutes every so often to keep your bedroom from looking like the messy monsters have ravaged your bedroom. To invite and lull you into your bedroom, opt for the luxury of soft and cozy pillows. You not only combine texture and color, but add an extra touch of softness. Don’t go overboard if it takes ten minutes to remove the pillows before you hop into bed. A thick rug is essential as who wants to step on a cold, hard floor first thing in the morning? 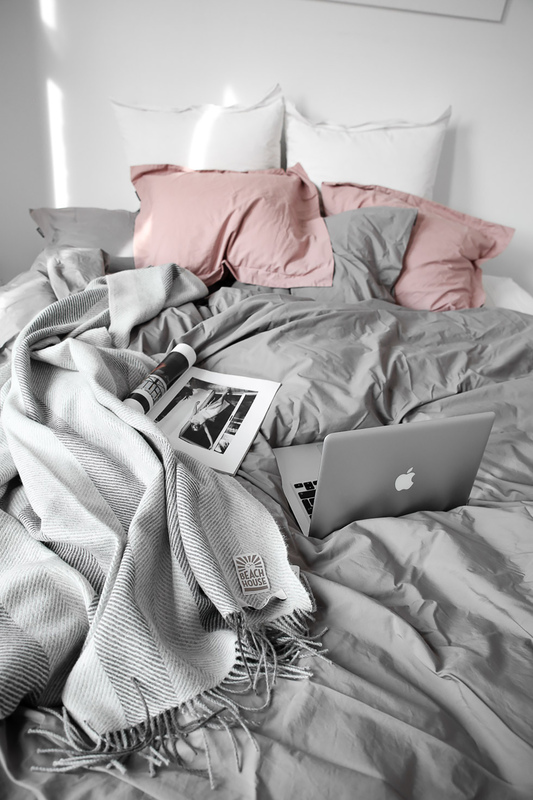 Don’t skimp but buy quality, high thread count sheets for that blissful feeling of soft cotton bedding. As for sleeping pillows, feather, down and polyester pillows flatten down in 12-18 months; latex pillows in 2 years and memory foam in 3 years. Don’t waste a good night’s sleep on a cheapie pillow after you have already committed to all the good things in your bedroom. Mattresses are so personal, so don’t put up with a lumpy or too soft or too hard one. Experts recommend replacing mattresses every 10 years and you should spin yours 180° twice a year. You might want to check out the many online mattress websites that offer free delivery and returns. Who doesn’t love that! 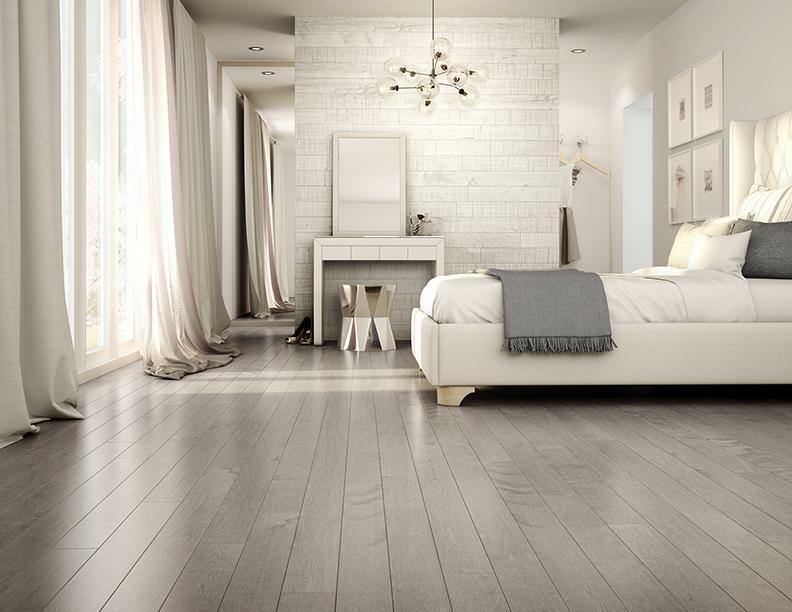 All things fluffy, furry and flowing should be the tune you hear in your bedroom. 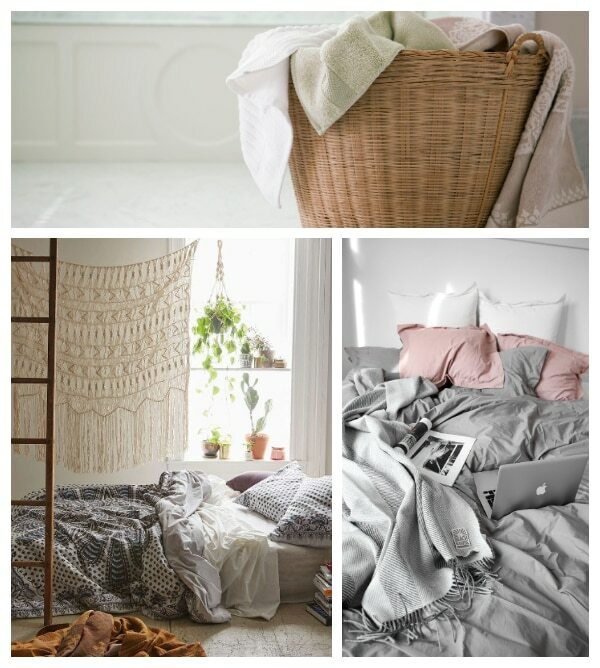 To induce calmness, choose a cool or neutral color palette. 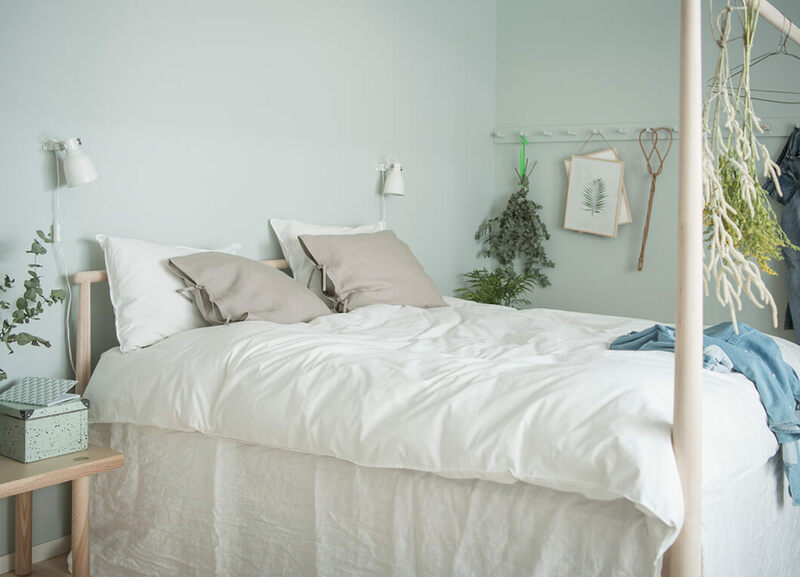 Greens, blues and grays are among the cool colors to bring into a serene bedroom. 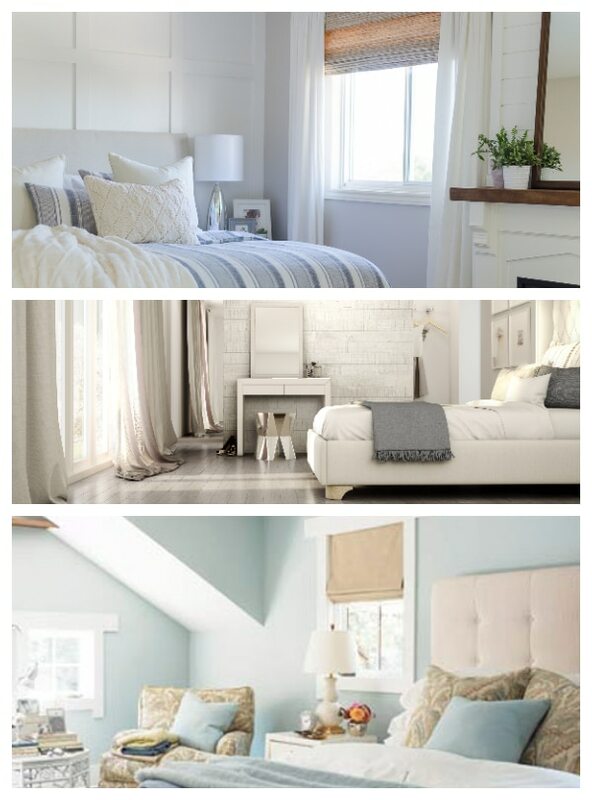 Whether you use paint, fabrics, artwork, window treatments or other décor furnishings to achieve the muted look, a relaxing vibe can easily be attained. A neutral palette of white, beige or blush is always chic and calming and is easily put together with all the subtle choices of a quiet neutral. Ignore bold, loud colors and patterns and other distracting elements that negate the peaceful feeling of a soothing bedroom. I know we all are addicted to our smart devices, but if you are serious about a tranquil and restful place, banish them from the bedroom. I hope you can resist the attraction of checking your phone in the middle of the night (64% say no to this). I challenge you to leave your phone to charge in another room. Did you know that the blue light emitted from your iPhone or iPad suppresses the natural release of melatonin by over 50%? Melatonin is a nightly essential ingredient to induce sleepiness to make way for a sharp mind in the morning. Do you really need to be connected 24/7? Practice peace. Green plants detox naturally as they add a fresh burst of color and a touch of nature. Plants automatically clean the air for us and indoor greenery just makes us feel better and the addition of fresh flowers adds another level of pleasure to make us happier. Tuck one or two green plants in your bedroom and for a luxury, a bouquet of farm fresh flowers is a treat anytime you need a mood booster. 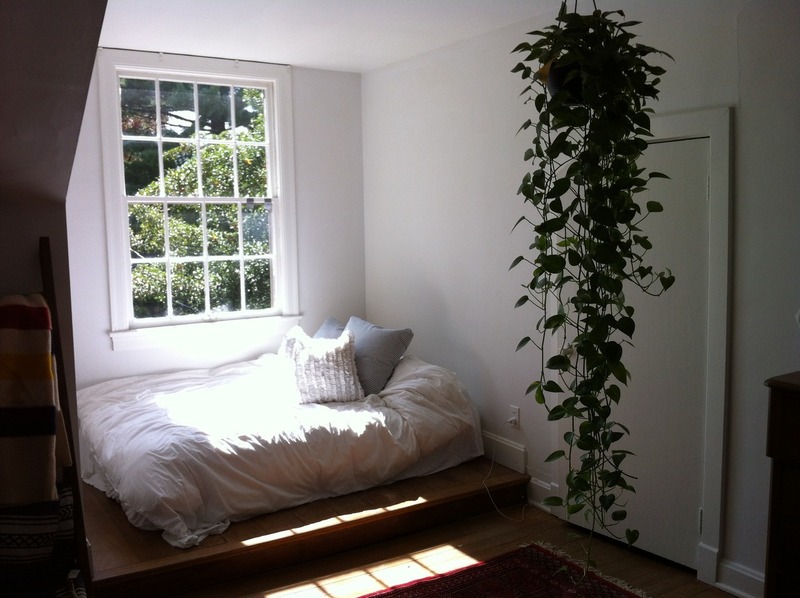 A few of the easy indoor plants to bring into your bedroom are the Spider Plant, Dracena, the Peace Lily and the Snake Plant. Check out the purifying qualities of these plants which are easily available at your local garden center or home improvement store. 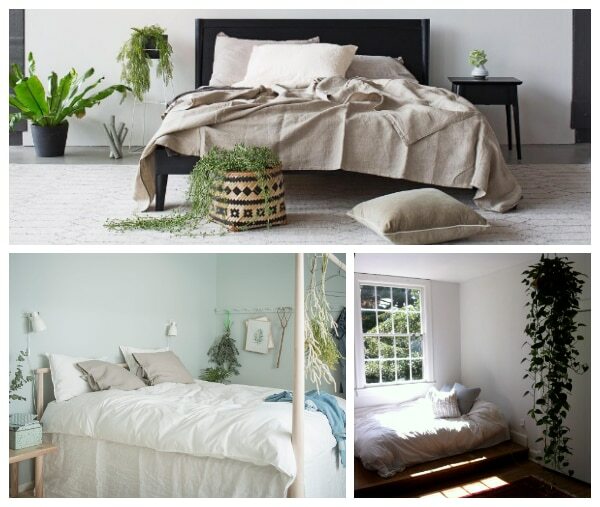 True organic touches of living plants suffuse the bedroom with a healthy energy to provoke well-being as your final step in creating the bedroom of your dreams. 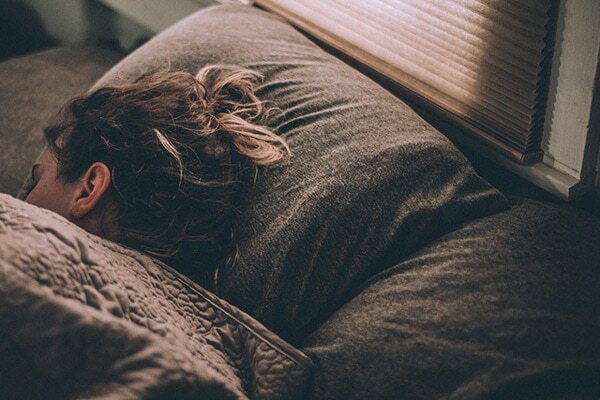 If you are still sleep deprived, try this two-minute technique that first appeared in the 1981 book, “Relax and Win.” Follow these easy five steps to lull you to sleep. Step 1: Start by relaxing every muscle in your face, one-by-one, moving down from your forehead to your jaw. Step 2: Drop your shoulders one at a time, relaxing each as much as possible. Then, do the same with your upper and lower arms. Step 3: Move through your lower body, consciously relaxing each muscle as you inhale and exhale deeply. Step 4: Once you’ve reached your toes, spend 10 seconds trying to empty your mind before visualizing one of the following scenes: 1. Lying in a canoe on a lake staring up at the blue sky. 2. Lying on a black, velvet hammock in a dark room. (What?!) If you have trouble conjuring these images on the fly, just repeat, “don’t think, don’t think, don’t think,” to yourself for about 10 seconds. Step 5: (Hopefully) fall peacefully asleep. Now, lower the blinds. Bring on the night.